You'll be £19.99 closer to your next £10.00 credit when you purchase The Second Barons' War. What's this? The clash of interests between the king and his 'overmighty' subjects is reconsidered, as are the personal and political tensions that polarized opinion and tested loyalties to the limit. 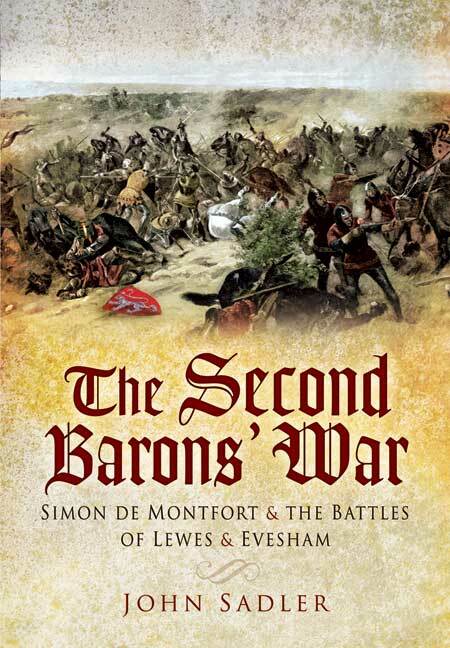 But the main emphasis of John Sadler's account is on events in the field, in particular the two major campaigns that determined the course of the war and indeed the future government of England - the battles fought at Lewes and Evesham. John Sadler was born and bred in Northumberland and he has worked for most of his career in the law. He is an expert on medieval warfare and a prolific writer on the subject. He has made a particular study of the history of conflict between England and Scotland. His many books include Battle for Northumbria, Scottish Battles, War in the North 1461-1464, Border Fury: The Three Hundred Years War, Clan Donald's Greatest Defeat: The Battle of Harlaw 1411, Flodden 1513, The Battle for Crete 1941, Culloden 1746, Bannockburn: Battle for Liberty and The Second Barons' War: Simon de Montfort and the Battles of Lewes and Evesham.